First, you must get a hold and grasp of the basics; script, camera, lights, sound: then comes casting, costumes, equipment, locations, sets, safety regulations, rights, accounts, catering, transport, VFX, editing…oh and one other little thing, that floats the whole circus, money. That last one, right there, is what keeps a film student panicking. Who will fund your film? And let you make and control it, the way you want? Film isn’t like other college projects or exercises. Like many it requires immense teamwork, creative communication, long hours, but how many projects, require the student to find the cash to fund the work? Film making is an expensive business, and sometimes educational institutions need a helpful wallet. And so, the students from Filmbase, find themselves in a ‘Filmrace’. The aim of the game is to raise 25,000 euros to make two feature films. The first, is Poison Pen, written by the international best-selling author of the Artemis Fowl books, Eoin Colfer. It’s a romantic comedy that deals with love, vanity, and deception. PC Molloy, a has-been literary master, is blackmailed into working for a tabloid gossip magazine. Cultures clash and sparks fly as the cerebral Molloy reluctantly becomes the celebrity interviewer for vain celebrities. Will Molloy be seduced by the trappings of fame or will he be seduced by April Devereux, the fiery editor of Poison Pen? The second feature, Light of Day is a mocumentary set against the backdrop of low-budget horror filmmaking. Written by Filmbase graduate, Chris Brennan, Light of Day follows the doomed crew of First Bite is The Deepest – a cheap vampire flick as they struggle to make their film. With an inept director, world-weary producer, meddlesome writer, star with a peanut allergy and the worst product placement deals in history there’s more horror behind the scenes than in the film. The only hope their film will ever see the light of day rests in the hands of Michael and Sarah, the only two sane people on the production. Both films are part of the Filmbase MSc Digital Feature Film Production course. The aim is to create two industry standard productions that will boost the future careers of the students involved. Filmbase has gone on similar such ventures in the past with Keys to the City and How to be Happy both produced on the course in previous years. Both films sold out festival screenings worldwide and are securing distribution deals. The latter How To Be Happy, I saw screened at the Galway Film Fleadh last summer. It gleaned rave reviews from audiences and extra screenings had to be scheduled. No easy task with 30 degree sunshine outside, and no air conditioning in sight. 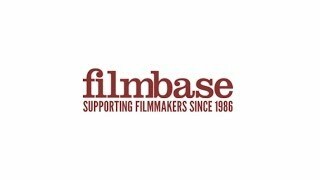 Needless to say the productions from Filmbase have an excellent track record in quality and success. All that’s holding the students back is funding. So, fancy opening that helpful wallet of yours, to educate the next generation of Irish filmmakers? Who knows, they might take over RTÉ someday, and show ‘em a thing or two. If you are interested in supporting their project, please visit http://www.indiegogo.com/projects/filmbase-filmrace. There are great rewards for anyone wishing to help out and more will be added to the list. If you’d like to support the project but would prefer to help out in other ways, please contact Alan Fitzpatrick at Filmbase (masters@filmbase.ie). Check out facebook and twitter for regular updates on the campaign.